If you are keen to light up the inside or exterior of your shed or garage, or alternatively you wish to illuminate your porch, balcony, deck or garden beds of a night-time, then you’ve arrived at the right place. In this article, we review 8 of the best solar shed lights on the market today. These nifty little lights do it all, and what’s more, they do so by utilizing the power of the sun alone. That means no electrical wiring, no external sources, and NO power bills. All they require is exposure to direct sunlight. 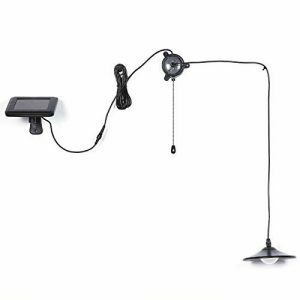 They mount easily on any wall, pole, or horizontal surface, and in most cases, they come with an optional extension cable, which lets you place the lights indoors whilst the solar panel that charges them is positioned directly in the sun. For outdoor (and sometimes indoor!) lighting that is economical, efficient and environmentally friendly, solar shed lightstick all the boxes. Without further delay, let’s look at some of the best models out there. Down below are our reviews for each of the 8 best solar shed lights. This LISOPO solar light emits natural white light and is powerful and long-lasting, making it one of the best lighting solutions for your shed. Here is another quality offering from the folks at LISOPO. With this product you get 22 LEDs worth of light, making this solar shed light ideal for illuminating your porch, pathways, deck, balcony, shed or garage. The interesting thing about this solar light is that it can be charged with both solar power and the power from the main AC unit. It is turned on and off via the remote control that is included with the light. And can be operated for quite some time on a full charge. This unit features a 900-mAh 3.7-volt battery. And consumes only 5 watts of the solar energy per hour. This truly is effort-free outdoor shed lighting: there are no wires, no additional installation equipment, and NO power-bills to pay. Solar powered simplicity: why PAY to light up your shed, garage etc when you can do it for free by harnessing the power of the sun itself? Just place your solar shed light in an area where it will receive plenty of sunlight, and let nature do all the hard work. The solar panels will collect solar rays during the day, charging the battery, and come nightfall they will be ready to go illuminating your property. An additional benefit of this solar powered outdoor shed lighting option is that there are no harmful carbon emissions to worry about. Can be also charged using the main AC unit. SUPER-bright lights, you get 22 LEDs. Suitable for all outdoor uses, as well as lighting up the interior of your garage or shed (day or night). Comes with a high-capacity 3.7 volts, 900 mAh lithium battery. Provides extra long-lasting nocturnal lighting..
Easy to install, just mount the shed solar light on your wall, pole, or surface of choice. Comes with an ergonomic remote to turn power on/off. Capable of lighting up your garage and shed, day or night. Can be charged via both solar energy and main AC power. Comes with a simple remote so you will be able to turn the light on and off even from a distance. Pretty lightweight construction and design, a bit on the flimsy side. Consists of just the bulb and solar panel, so doesn’t have the added protection of a light fixture. Features like a 2000 mAh rechargeable batteries, around 10 hours of working time and bright illumination prove that your life will be better with this FEIFEIER solar shed light in it. This ‘natural white’ colored 2-bulb LED solar shed light by FEIFEIER is ideal for illuminating your pathways, porch, deck, balcony, garage and shed. You also get a [retty lengthy extension cable allowing you to maximize sun exposure. These solar powered lights for shed work just as well indoors and out. As they are 100% solar powered, there is no need for any wires, external power source – or power bills! All you need to do is place them in an area where they will receive plenty of sunlight and the 6 volts, 2000 mAh lithium battery will charge automatically so that by nightfall, your solar shed lights are good to do. They turn on automatically at dusk, and off at dawn, and also have a nifty sqith power ‘off/on’ feature. All in all, another high quality outdoor solar lighting product, it’s suitable for all outdoor uses and some indoor ones too. Solar powered outdoor lighting: no wires, no power bills, and no harmful emissions. You just place these solar powered lights for shed in the sun, then sit back and relax, they’ll turn on automatically for you at dusk. This is outdoor lighting that’s efficient, economical and eco-friendly. FEIFEIER’s outdoor solar lighting ticks all the boxes. Very bright 2 LED bulbs. Suitable for lighting up your porch, pathway, decks, balconies, landscaping and more. You can also use it in your garage or shed, day AND night. 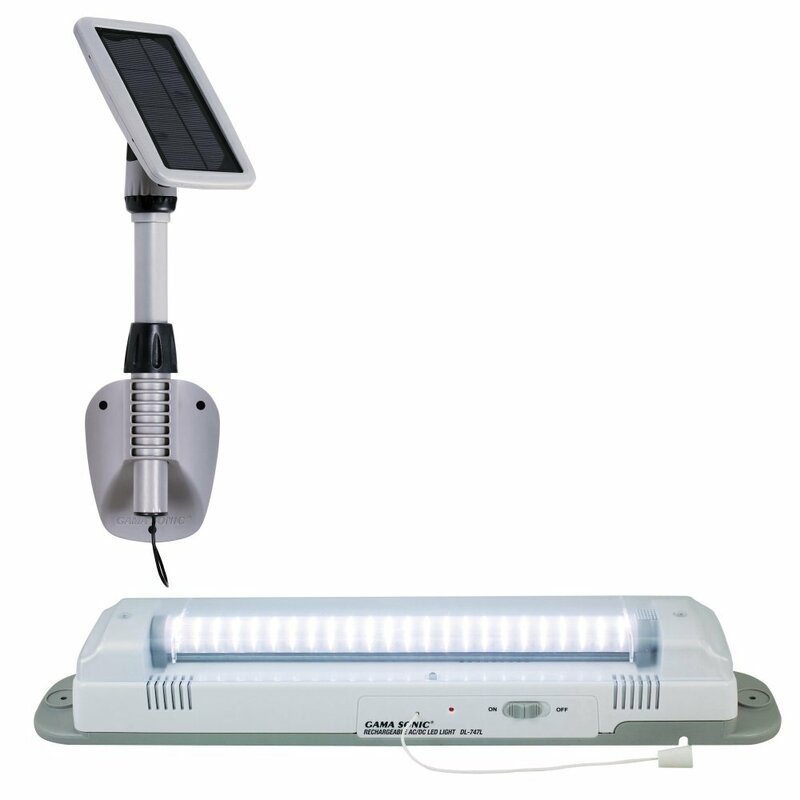 Comes with a lengthy extension cable, allowing you to light up the inside of your shed or garage as well as without, and also place the detachable, 10 watts solar panel precisely where it will receive optimal sun exposure. Automatically turn on at dusk, off at dawn. Sturdy switch feature for turning the power on and off. Rugged design and construction, these lights will get the job done under all weather conditions. Optional extension cable included, more than handy. Handy on/off switch to operate the light. Will work for up to 10 hours on a full charge. Only 2 LED bulbs included. No ability to adjust the brightness level, OR the ambient lighting levels at which they turn on/off. 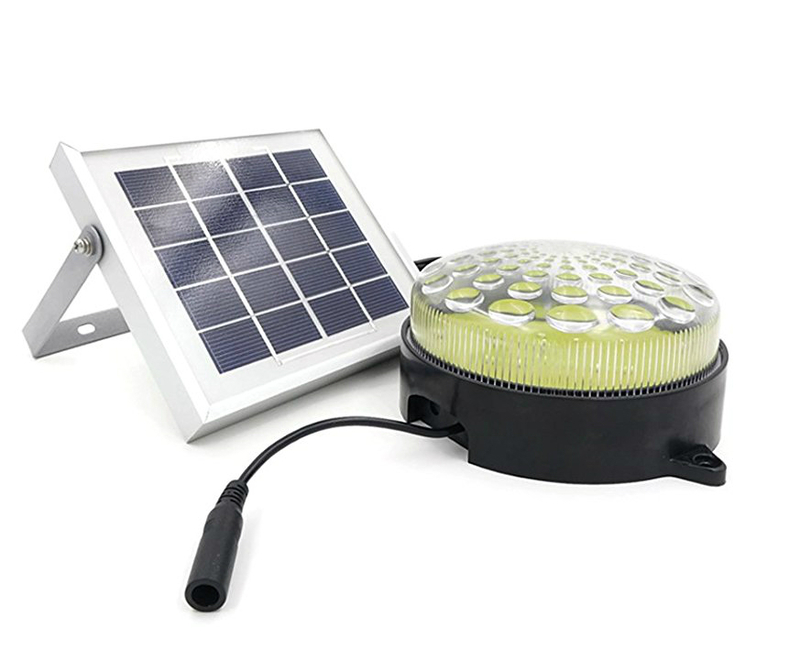 Want to own one of the industry’s leading solar shed lights? Then you should go for this 3rd generation Gama Sonic lamp. This GS-16LD solar shed light from Gama Sonic comes with 48 LEDs and an impressive 400 lumens of light, making it perfect for illuminating your porch, pathways, sheds, garage, decks and flower beds. No extra wiring necessary, it mounts easily on all surfaces. Place the detachable high-tech, crystalline solar panel direct in the sun and connect to the light, using the 10-foot extension cord included in the pack, then let nature do the rest. It charges automatically throughout the day so that come nightfall this solar shed light is ready to go illuminating its surroundings. Another attractive feature of this solar powered shed light is that there are two different power settings: on the full power setting, all 48 LEDs will shine, giving you an hours’ worth of light at 400 lumens. For longer lighting duration, set the solar powered shed light to the low power setting in which just 24 LEDs are activated. Finally, this Gama Sonic solar shed light comes with an in-built nightlight making it super-easy for you to locate the string-pull operated ‘on/off’ power button even in darkness. It’s designed and built from solid, durable plastic, and backed by a one-year, limited manufacturer’s warranty. Gam Sonic’s goal is to manufacture the world’s best solar lights, and if this offering of theirs’ is anything to go by, they’re doing a pretty good job of fulfilling that goal. Solar-powered outdoor light, just position the high-tech crystalline solar panel and let it collect rays from the sun during the day, automatically charging the battery so that come dusk all that stored energy can be utilized as light. The amount of additional effort required on your part? ZERO. The extra cost in power bills and installation and maintenance costs? Again ZERO. This is the eco-friendly and hip-pocket-friendly outdoor shed lighting option. Super-bright lights, 48 LEDs and 400 lumens of natural white light. Suitable for all outdoor uses, can also use to illuminate the inside of your shed or garage. Comes with two separate brightness settings: all 48 LEDs are illuminated on full power, on low power only 24 LEDs are lit up. You get 2-4 hours’ lighting on a full charge. In-built night light allows you to find the string pull on/off switch easily even in darkness. Easy to install, your shed solar light can be mounted on any wall, pole or horizontal surface (screws included). Nice bright solar shed light. Two brightness settings, you simply have to turn a dial. Night light feature is also useful. Only 2-4 hours’ lighting even on a full charge, no ability to adjust the brightness level other than the two options provided. The extension cable is only 10 feet long, shorter than some others considered here. The string pull material breaks too easily, according to some consumer reviews. Add brightness to any area without the hassle of wires and power outlets with this Designers Edge rechargeable solar shed light. This stylish solar shed light from Designers Edge comes with an optional 16 foot extension cable, which enables you to light up the INSIDE of your garage or shed as well as outdoor locations like your porch steps, pathways and garden. It also allows you to charge your lights faster, translating into longer lighting time during night, as you can place the solar panel in a different location from your solar shed light–one where it will get the most sun exposure. 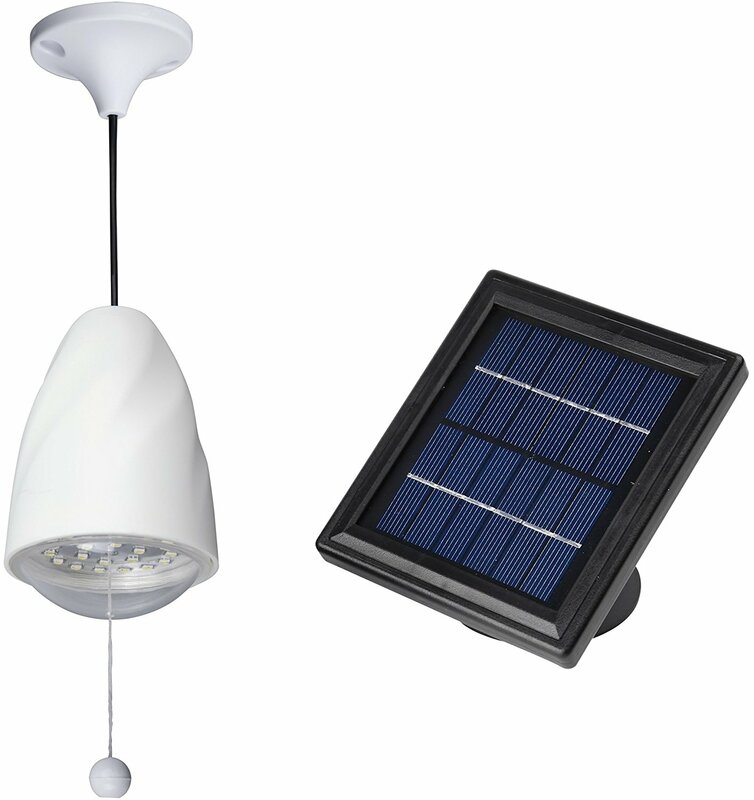 Simply install the solar powered shed light on your wall or surface of choice, then detach the solar panel mounting it where it is best positioned to collect solar rays, connecting the two using the extension cable. With this solar powered shed light, you get 10 LEDs and 30 lumens of light; there are also two separate brightness settings, one with all 10 LEDs lit up and the other with only 5. Three high-capacity, rechargeable batteries ensures fast charging time and long-lasting lights, and it’s all topped off by a 2-year limited manufacturer’s warranty. This solar shed light from Designers Edge is suitable for garages, sheds, porches, decks, balconies, front steps and more, grab some and give them a go today. Outdoor solar shed lighting, just place the detachable solar panel in the location where it will receive maximum sunlight, and watch it collect solar rays throughout the day, while you sit back and relax. Come nightfall it will be ready to go providing light for your property. Easy! There is no complicated electrical wiring to worry about, no external power sources necessary, and NO power bills. For eco-friendly and economical outdoor lighting choose Designers Edge. Ultra-bright lighting, you get 10 LEDs and 30 lumens of light. Suitable for all outdoor — and indoor — uses. 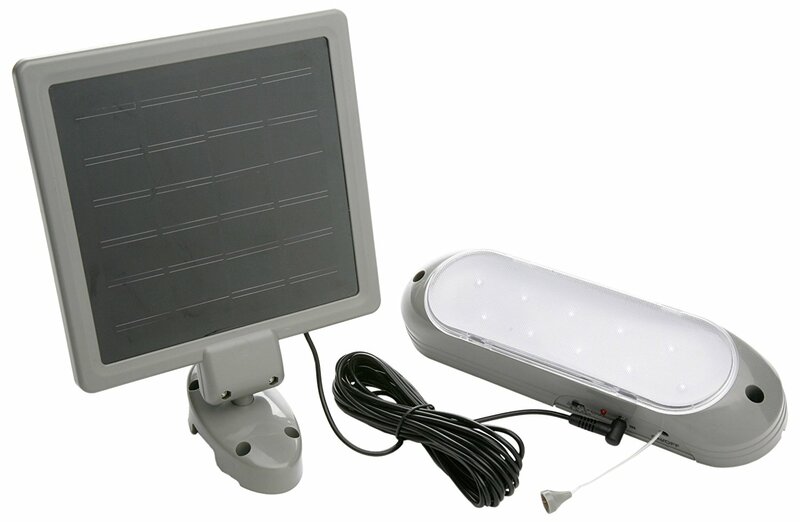 Use this solar shed light to illuminate your porch, pathways, decks, balconies, landscaping, garage and sheds. Two brightness options – either all 10 LEDs are lit up or only 5. Choose the dim mode for accent lighting or for a longer lived night-time lighting experience. Turns on automatically at dusk, off at dawn. 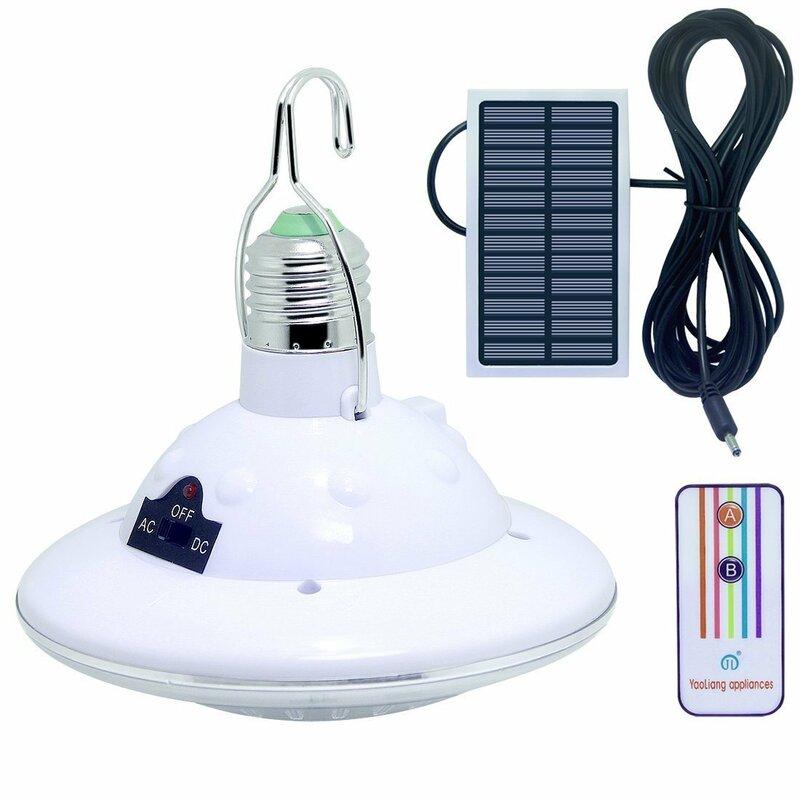 Comes with optional 16 foot extension cable, means you can place this solar powered shed light inside your shed or garage, and also allows you yo position the solar panel where it will receive the most sunlight. Easy to install, mounts easily on walls, poles or any other fixture. Includes 3 long lasting, rechargeable Ni-Cadmium AA batteries. It’s all backed by a 2-years limited manufacturer’s warranty. You get a decent amount of light, 30 lumens worth. Optional 16 foot extension cable included. Can be mounted on any wall, pole or outdoor fixture. According to reviews, the light emitted is an unnatural color, white verging on blue. The installation screws are cheaply constructed. Flawed design makes it difficult to replace the batteries. By having a PIR motion sensor and durable solar panels, you won’t even need to charge it or turn it on for this lamp to provide bright illumination to your shed. 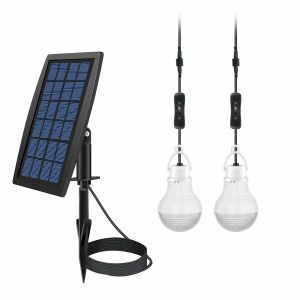 Enjoy those solar vibrations with these solar powered outdoor solar shed lights from Dream Master! With these solar powered lights for shed you get 80 super-bright LEDs and 500 lumens of light, perfect for illuminating your porch, pathways, deck, balcony, garage, shed and garden beds. Just place the solar panel in an area where it can gather plenty of rays from the sun throughout the day, and let it automatically charge the 3 lithium-ion, 5 volts 1500 mAh batteries. The solar shed lights automatically activate at dusk (then turn off at dawn). These are actually motion sensor lights, so they only light up when movement is detected within a certain range (16-30 feet). These lights save you power for when it is needed most. Use them to ward off intruders or light your way to the front door or through the garden shed of a night-time. On a full charge, these solar powered lights for shed will provide 7-8 hours’ night-time coverage. Easy to install, included with the lights are a ground spike with extension AND wall mounting bracket, so these lights can be either staked in the ground or mounted on your wall. And built from IP44 waterproof plastic, you can be sure these lights will stand up throughout the 4 seasons. Overall, some very good, solid outdoor shed lighting from Dream Master, definitely a worthy inclusion on this list. Outdoor lighting that is powered by the FREE energy supplied by the sun. You just place these solar powered lights for shed in direct sunlight and let nature do the rest. They charge during the day and light up your property at night. No wires, no installation or ongoing maintenance costs, and no power bills. Cost-effective and eco-friendly lighting at its finest. Super-bright outdoor lights, 80 LEDs and 500 lumens of light. Suitable for lighting up your porch, pathways, balconies, decks, garage, sheds and more. Come with 3 1500-mAh lithium-ion rechargeable batteries. Provide 7-8 hours’ lighting coverage on a full charge. Enhanced efficiency, state of the art crystalline solar panel provides maximal conversion of sunlight to electricity. PIR motion sensor lights, only activate when movement is detected within 16-30 foot range and spanning 180 degrees. Remember to switch to ‘on’ before first-time usage. Easy to install, comes with walls bracket and ground spike with extension feature. You can either stake this solar shed light in the ground or mount from your wall of choice. Built from sturdy, waterproof IP44 plastic, you can be sure this solar powered shed light will stand up under all weather conditions. Comes with 2 year’s manufacturer’s warranty. Generous product warranty, 24 months. Very bright solar shed lights. PIR motion sensor lights, longer lasting because they only turn on when absolutely needed. Can stake in the ground or mount from the wall, all the equipment is provided. Easy to replace the batteries. Light doesn’t mount firmly on the bracket, will surely topple off in high winds and heavy rain. Quite flimsy construction and design, doubtful if it is really waterproof. No extension cable, can’t use these light to light up the inside of your shed or garage, unfortunately. For a conventional outdoor spotlight look elsewhere. Not able to adjust the brightness level, the length of time the lights stay on for, or the range of the sensor. Aluminum build and polycrystalline solar panels are the key features that make this ROXY shed light an amazing and cost-efficient investment. For the ultimate in outdoor lighting versatility and flexibility, consider this ROXY-G2 solar shed light. Make it a permanent fixture of your property by mounting using the screws included in the box, or use double sided adhesive tape if you want to be able to take it down and move around regularly! Because it comes with a 15 foot extension cord you can also use it to light the inside of your shed, garage, or attic; while the detachable solar panel sits outside collecting rays from the sun, the light to which it is connected emits a steady beam into your shed or workshop. Of course you can also use this shed light to illuminate the outdoors, ie. your pathways, porch, patio, gazebo, deck and balcony. You can even put it to work decorating your landscaping and flower beds. With the bubble-like texture of its lens, this light casts a beam resembling a peacock’s tail. The possibilities are endless with this solar powered shed light. And the best part is that it is FULLY solar powered! Just place your shed solar light out in the sun and the solar panel will automatically collect rays from the sun throughout the day, charging the battery so that come nightfall your lights are ready to go lighting up their surroundings. No wires and no electricity bills translates into outdoor lighting FREEDOM. With this ROXY-G2 solar shed light you get 9 LEDs and 150 lumens of luminosity, they turn on automatically at dusk, off at dawn. On a full charge, you get 7-8 hours’ continuous lighting coverage. Finally, with rugged aluminum construction and design (tougher than plastic), this is a solar shed light that will reliably stand up under all weather conditions. This offering from ROXY truly is a ‘light for all seasons’; for attractive and multi-purpose outdoor lighting, it can’t be beat. Solar powered simplicity: with these solar shed lights from ROXY there is no need to worry about complicated electrical wiring, ongoing installation and maintenance costs, or power bills. Just set them up outside and let nature do the rest. The solar panel collects rays from the sun throughout the day, charging the battery so that come nightfall these lights are good to go illuminating your property. 9 LEDs and 150 lumens of light. Suitable for all outdoor uses – light up your porch, patio, pathways, deck, balconies, gazebos and more. Because of the extension cable it comes pre-packed with, you can also use this shed solar light to illuminate the INSIDE of your garage, workshop or shed. Optional 15 foot extension cable, means you can use these solar shed lights indoors or out. Also allows you to place the solar panel in just the location where it will receive maximal sun exposure. Automatically turns on at dusk, off at dawn. Bubble textured lens means these lights project an attractive ‘peacock’ pattern, makes them ideal for decorative or accent outdoor lighting. Use them on your flowerbeds and bushes. Durable ABS plastic and aluminum construction and design, these lights are built to last. Nice bright solar shed lights. Comes with generous amount of extension cable. Projects an aesthetically pleasing peacock pattern. Built from metal, sturdier than plastic. No ability to adjust the ambient lighting levels at which it turns on/off, or the brightness of the lights, both of which would save you power. Bit on the expensive side, but you get what you pay for. If you are looking for something that is equipped with a bright LED light, solar panels and that will be convenient to use in your shed, then look no further than this solar light. Kyson is a quality manufacturer of outdoor solar lighting products. This offering of theirs’, the last solar shed light to be reviewed in this article, is no exception. With this solar shed light, you get 4 bright LEDs housed in one bulb, each emitting a natural white glow that is perfect for illuminating your pathways, porch, patio and more. Because it comes with an optional 9.8-foot extension cable, it can also be used to light up the inside of your shed or garage. Just detach the 1.2-watt solar panel and place out in the sun, with the lights illuminating the inside of your shed or garage. The charging time for the solar panel is 6 to 8 hours which will get you up to 12 hours of illuminating time. Another feature of this solar shed light worth mentioning is the ease of use because the lamp comes with both a remote control and a pull cord, so you can choose which method you use to turn it on and off. 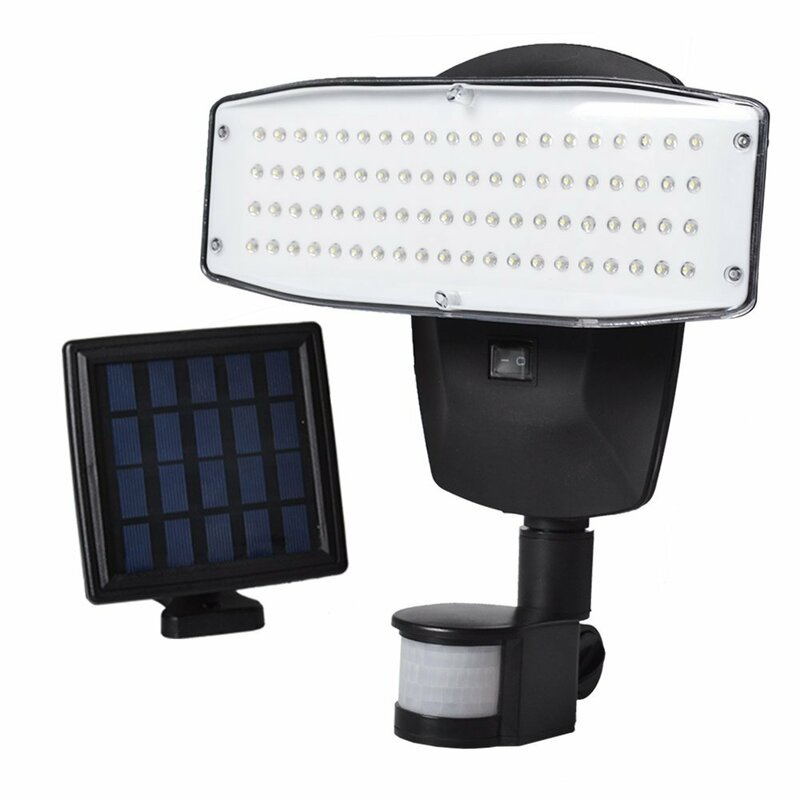 On top of that this Kyson solar shed light is equipped with a rugged stainless steel construction and design, so you can be sure that it will get the job done under all weather conditions. Backed by many amazing features, this is a fine solar shed light from the people at Kyson, which you will be able to enjoy for many a night to come. Solar powered supremacy: want some outdoor lights but don’t want the hassles that come with the installation of electrical wiring, ongoing maintenance, and most importantly POWER BILLS? This shed solar light option from Kyson ticks all the boxes. Just place them out in the sun and let the solar panels collect energy from the sun throughout the day. The battery will charge automatically and come dusk your lights will be ready to go. And the amount of effort required on your part? NONE. Super-bright outdoor lighting, you get 4 LEDs in one bulb, each emitting an attractive natural white glow. Suitable for all outdoor uses, porches, pathways, patios, decks, balconies and more. Because it comes with an optional extension cable you can also use it indoors on your shed or garage. Comes with one optional 9.8-foot extension cable. Charged by a 3.2-volt, 400-mAh lithium battery provides up to 12 hours of continuous lighting coverage when fully charged. The charging time is mere 6 to 8 hours to achieve a full charge. 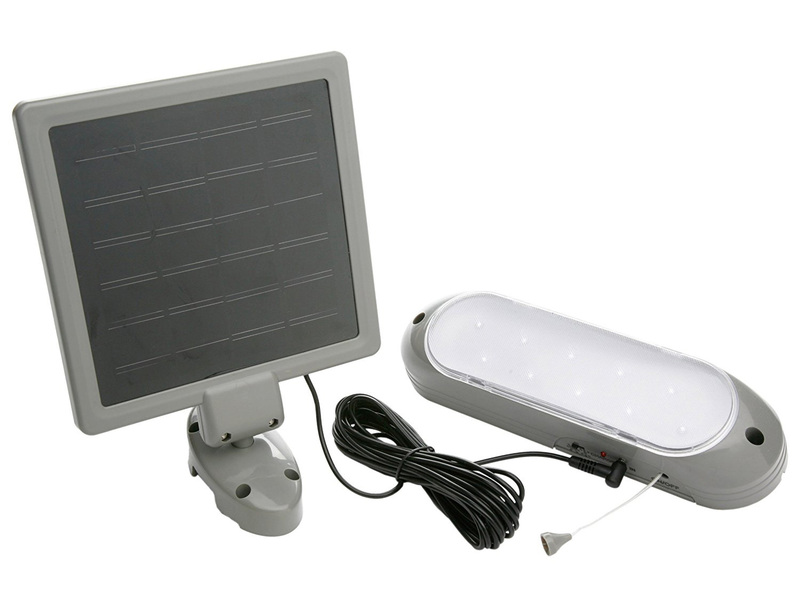 Sturdy pull string on/off power feature AND a remote control provide easy use and long lasting for this solar shed light. Durable stainless steel design and construction, these lights will withstand whatever weather conditions nature hurls at them. Versatile, because comes with both remote control and a pull string to turn the light on and off. Extension cable included, more than handy. Stainless steel construction and design, tougher than plastic and very sturdy. Sleek design so will work in various different settings. Despite the stainless steel build and bright illumination, these solar shed lights are not the biggest in size so won’t be suitable for large sheds, according to some consumer reviews. The battery that this light comes with isn’t the biggest in terms of its capacity. Bit on the expensive side. With a working time of 5 to 6 hours, super bright illumination and elegant design, these MicroSolar lights might be what’s missing from your shed. With this outdoor solar shed light from MicroSolar, you get an impressive 20 LED lamps emitting 120 lumens in total of natural white light, PLUS a handy 16 foot extension cable — which qualities make it ideal for illuminating your shed, garage, porch, balcony and more. Simply set up the solar shed light in your location of choice and hook up to the included, detachable solar panel; because of the extension cable the light itself doesn’t have to be exposed to sunlight, you can even place it INSIDE your garage or shed. Meanwhile outside, the solar panel will gather rays from the sun, charging the 3.7 volts, 2000 mAh lithium battery, so that come nightfall the LED lamps are ready to go providing light for your property. That’s right: this solar shed light is 100% solar powered, which means no wires and NO power bills on your part! Turning on automatically at dusk, and off at dawn, your solar powered shed light provides up to 5-6 hours’ continual lighting coverage when fully charged, provided FREE OF CHARGE by the sun. Easy to install, it also has a sturdy and durable plastic construction and design which is built to withstand all weather conditions. All in all, a high quality product from Microsolar, it will effectively illuminate your shed or garage the whole year around, and do it all by utilizing the power of the sun. Solar powered outdoor shed lighting: illuminate your shed or garage by harnessing the powers of nature herself. Simply set up the solar panel in an area where it can gather plenty of solar rays throughout the day, charging up the battery so that come nightfall your lights are ready to illuminate their surroundings. There are no wires, no additional installation equipment, and NO power bills. This is the economically and environmentally responsible outdoor lighting option. Super-bright lights, you get 20 LEDs and 120 lumens wide-angle 120 degrees beam with these lights. Suitable for all outdoor uses, you can also use this solar powered shed light to illuminate the inside of your shed or garage. Comes with extra long-lasting 3.7 volts, 2000 mAh lithium battery. Fully charged it provides up to 5-6 hours’ continuous lighting coverage. You get a 16.4 foot long optional extension cable to which you hook up the detachable solar panel, this means you can even place your lights indoors. Use these lights to illuminate the inside of your garage or shed, as well as outdoor locations. Turn lights to ‘on’ using sturdy pull string feature. Durable and weatherproof plastic design, these lights are truly built to last. Comes with a one year manufacturer’s warranty. Very bright solar shed light, you get 120 lumens. Optional 16 foot extension cable feature is welcome. Generous manufacturer’s warranty, a testament to this product’s quality. Construction and design a bit flimsy, according to customer reviews. The string pull ‘on/off’ feature breaks too easily. No ability to adjust the ambient lighting levels at which it turns off/on, or the level of brightness of the light. Only 5-6 hours’ (maximum) lighting coverage provided by these lights, they tend to go off halfway through the night. In this review article, we have looked at some of the best solar shed lights on the market today. These fantastic little lights are extremely versatile and effective, and hopefully at least ONE of the models considered here meets the requirements of YOUR property so that you can begin enjoying your set of solar shed lights TODAY.